Imagine you could measure the distance between two words by changing one letter at a time and finding the fewest changes needed to transform one into the other. Imagine each change pushes the words one foot farther apart, and you could measure that distance with a tape measure: it takes 3 changes minimum to transform Honda into Hyundai, so imagine those words are three feet apart. Now, imagine you can do that not just words, but any string of characters—imagine every string you can think of, all at once, all arranged in front of you, each one the perfect distance from all the others. That distance between two strings is called Edit Distance, and it’s a real thing. Okay, Edit Distance is really cool and I’m really really excited to dive into it—but we need to put it in context. Edit Distance is a real mathematical measurement (and it conforms to some geometric laws as well), and it’s used in many common technologies like search engines and spellcheckers. But the real power in Edit Distance is that it enables computers to have flexibility when dealing with user input. In short, Edit Distance gives computers a way to guess and make assumptions about what users meant to input. More broadly, it’s an illustration of something called “fuzzy logic”—a way of evaluating TRUE and FALSE not just in terms of 0 and 1, but also with numbers between 0.0 and 1.0. Think back to when you were just starting to learn coding (like me! )—how did regular ol’ computer logic affect your perspective on the world? I’d guess that you probably tried to see things in terms of TRUE/FALSE and IF/THEN in order to practice translating the real world into code. How handy that every single question we could ask about anything in the world can be answered with either TRUE or FALSE, right? Of course not! Reality is messy, and even simple questions can quickly fall into gray areas. Consider two statements: “Isa is 5’10” versus “Isa is tall”. Both of these can be answered as TRUE or FALSE. The first question can also be verified by an independent measurement, like measuring tape. (The 5’10 question is TRUE, by the way.) But let’s say we also evaluate “Isa is tall” as TRUE—how do we know, since being tall is qualitative? The core of “fuzzy logic” is that it can describe closeness to truth or likelihood of truth. As coding students, we are used to seeing Boolean logic—TRUE/FALSE, YES/NO, IF/ELSE, 0 or 1. The statement “Isa is 5’10” is TRUE, but that’s not the only way to describe me. 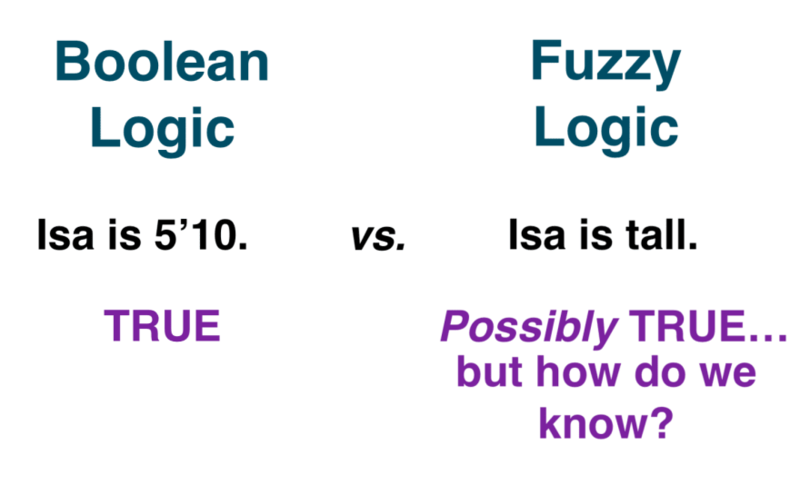 Fuzzy logic lets us decide if “Isa is tall” is TRUE or FALSE without knowing for sure. Instead, additional context helps define how close to TRUE that statement is—for instance, it helps to know how tall the people around me are! Fuzzy logic is a broad concept that has had far-reaching implications for classical logic and its related fields beyond coding. Formally coined by Dr. Lofti Zadeh in the 1960’s in relation to computer translations of natural language, fuzzy logic has allowed humans to interact with computers with more flexibility, imprecision, and colloquialism. In other words, fuzzy logic enables humans to interact with computers in a more human way. 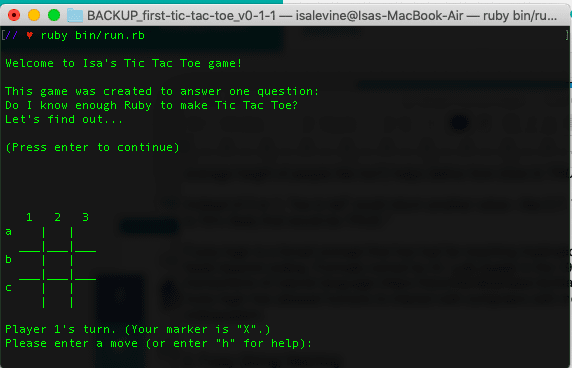 A screenshot of my first Tic-Tac-Toe program in Ruby! I wanted to allow users to input any combination of coordinates—a1, A1, 1a, 1A—and have all of them be valid. So, I wrote some code that checked string length, presence for integers 1/2/3 and letters a/b/c, and made all letters lowercase. Mission accomplished! However, I wasn’t using real fuzzy logic. I was essentially rewriting strings if they met certain parameters—every step required Boolean logic. Instead, this code illustrated a simplified version of a subset of fuzzy logic called “fuzzy matching”, and more specifically “fuzzy string matching.” My Tic-Tac-Toe game wasn’t looking for an exact string match, but for something close enough. 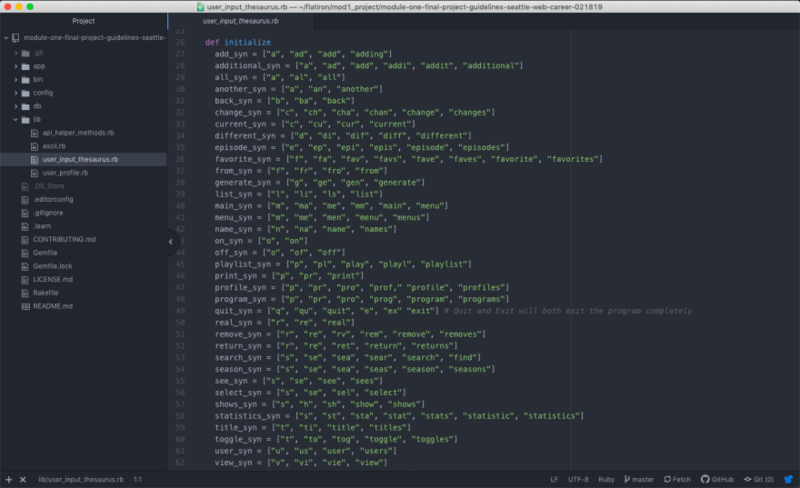 My command line interface Ruby project for Flatiron School. …oh wait, there’s TOTALLY a way to mathematically measure how close two strings are to each other! 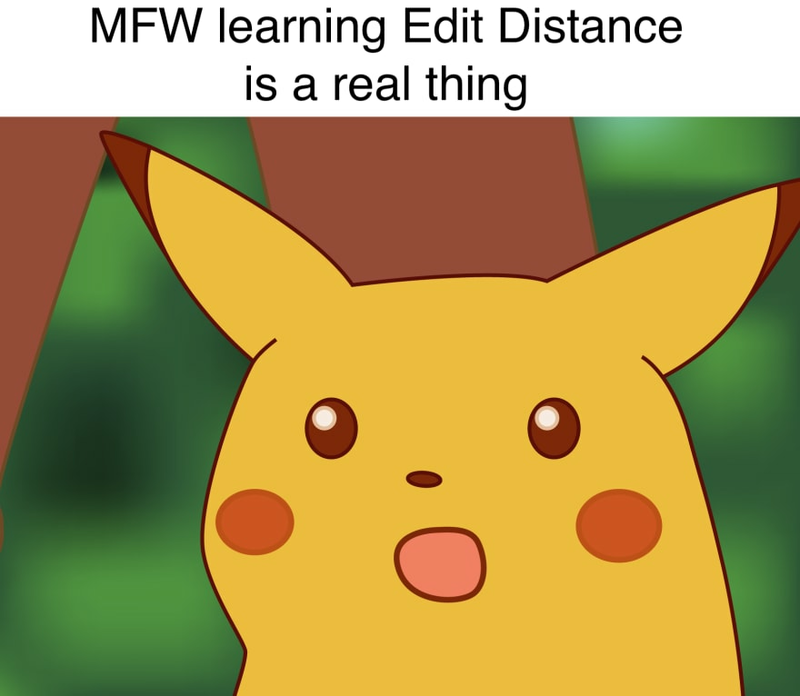 Remember that Edit Distance we imagined at the start? It’s a weird concept, but “measurements of closeness” like Edit Distance arise from fuzzy logic because it provides a way to answer qualitative questions using quantitative methods. “How similar are two strings?” is a qualitative question, but we can approach it with hard numbers if we establish mathematical rules—for instance, focusing on changing only one individual character at a time, and counting each change as a measure of “distance.” The most foundational “measurement of closeness” between two strings is Levenshtein Distance, or Edit Distance. A screenshot from Nikhil Babar's excellent introduction to Levenshtein Distance on www.cuelogic.com. Conveniently, there’s an algorithm to determine this minimum number of changes called the Wagner-Fischer Algorithm—check out Nikhil Babar's excellent introduction on running the algorithm yourself to find the Edit Distance between any two strings here. 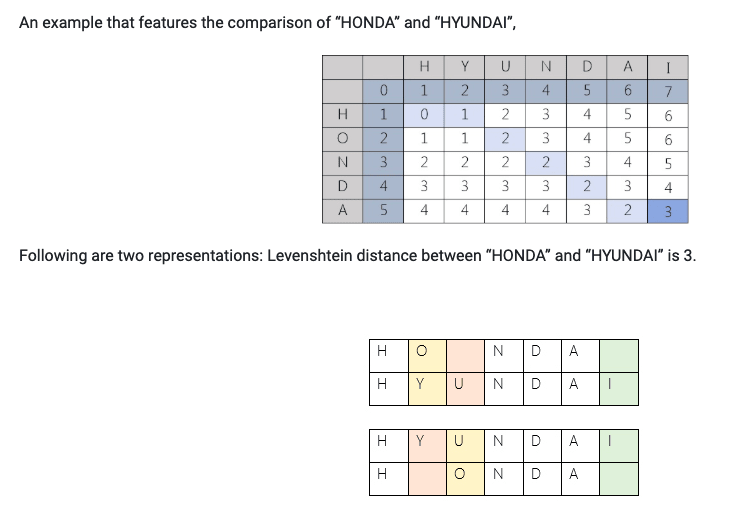 But here’s the gist: the “distance” between the words Honda and Hyundai is 3, because that’s the fewest number of single-character changes needed to transform one into the other. In application, Edit Distance is an essential part of tools we use everyday. Search engines use Edit Distance to make suggested searches and correct typos. Your phone’s auto-correct uses Edit Distance to predict the words you’re trying to type. Spellcheckers use Edit Distance to determine if spellings are wrong and suggest correct ones. When Ruby errors are asking you “Did you mean…”, they’re using Edit Distance to guess if you made a typo in a method or object name. All of these are examples of fuzzy string matching—in other words, real fuzzy logic. So, why am I writing about fuzzy logic when I haven’t even used it hands-on in my own code? Short answer: it’s really complicated, but also really really cool! I was lucky to have people around me point out that my code was approximating fuzzy matching because that enabled me to research it further—and once I did, I realized that my string manipulations and thesaurus code were only crude approximations of fuzzy logic’s depth and flexibility. I look forward to returning to this topic with more hands-on experience, and a greater understanding of the broader implications of fuzzy logic! 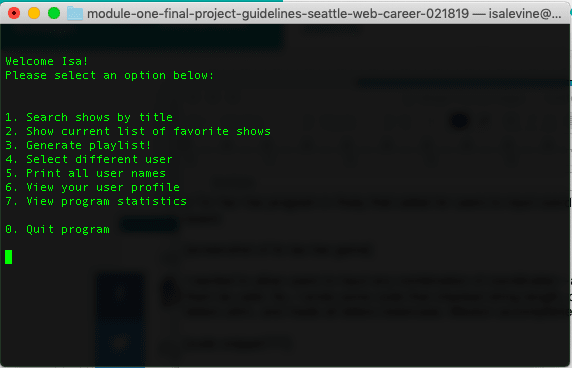 Special thanks to Niky Morgan and the Flatiron Seattle instructors for helping point me in the direction of fuzzy logic. isa (ee-suh). she/her. 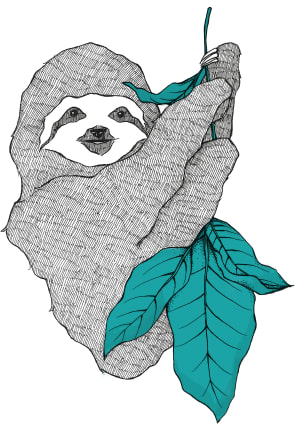 software engineering student at flatiron seattle.